One Piece finally saw the final phase of the fight between Luffy and Katakuri in the Mirror World, and it capped off with an amazingly animated sequence in which Luffy debuted a brand new Gear Four form and Katakuri went all-out with strength of his own which anime's confirmed that it definitely was the end of the battle at last as the preview for the next episode of One Piece teases that a winner will be crowned "finally." There admittedly seems to be a bit of meta-commentary in the title for Episode 871, intentional or not, as it's officially titled "Finally, It's Over! The Climax of the Intense Fight Against Katakuri!" The episode's title confirms that the battle between these two, which has been going on for several weeks now, is finally at its end, but there's no confirmation just yet of which one will be the victor in the end. Though fans of the manga run of the series know who walks away, and fans of the anime can most likely guess as to who won, the worries for Luffy and the others will not be over in the slightest. 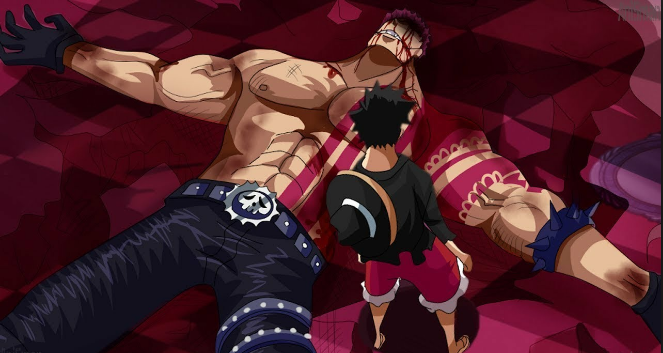 Katakuri was only one of Luffy's major problems as fighting him in the Mirror World only served as a means to an end. It was meant to distract him from the other Straw Hats, who are still being cornered by the Charlotte Family.